Home > News > Portland Street Honda Blog > Meet this year’s 1000th Race customer! Meet this year’s 1000th Race customer! 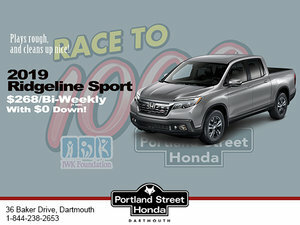 Last month, Portland Street Honda concluded its 4th annual Race to 1000 in support of the IWK Foundation. Over the course of 4 months, a portion of every vehicle we sold (with the goal of selling 1000) would go toward donating a total of $50,000 to the IWK to help with equipment and services. Not only did the generous support of our customers help us reach our goal, but the 1000th vehicle was sold to Deacon Bernie Coffin, a proud member of the IWK support team. Deacon Bernie has been a minister for 37 years and has been sharing his time with IWK for over six years. When we sat down with the Deacon to ask him about his experience, he got right to the point. We certainly had to agree. 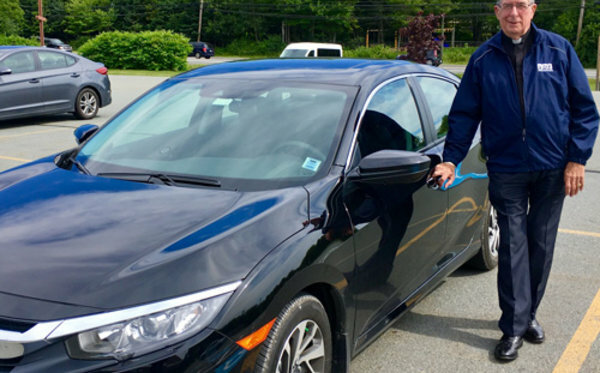 We’d like to thank Deacon Bernie for generously sharing his time with us and for choosing Portland Street Honda and the Race to 1000 for the IWK. Thank you to everyone who made our 4th year of the “Race to 1000” a successful one, we look forward to doing it all again next year!